It’s hard to believe we are half way through the school year already and that the March Break is fast approaching! If you are in need of care, please see Miss Dusanka regarding fees and sign up for the days needed at the front desk. We would like to welcome Wendy Hopkins to the M.A.W. Team as a Teacher Consultant for all of the Classrooms. Wendy is a certified Teacher with Montessori Qualifications and has 14 years of experience. We would also like to welcome Zoe Wan who has joined our M.A.W. Team as a School Assistant who will also be working on Marketing. Zoe is a certificated Math Teacher with a long history in Marketing. The Go and Grow with Miss Melissa was a hit this year, but she has had to take a leave due to illness. We are starting an exciting new music program for all the classrooms with Gregory Duff. We are going to have a Pampered Chef Fundraiser. All students will be given a letter explaining this event and a catalog to take home with i2 order forms. If you need any more order forms, please let us know. If you wish to attend the actual Pampered Chef Cooking Show to see the products, taste great food and socialize, it will be Thursday, March 20th, 2014 from 7pm to 9pm. Thanks to all… more news coming soon! In the past few months the focus for our “little ones” was working with the 5 senses, animal life and old man winter. During our senses theme the children were exposed to experiments, sensory bottles, sensory bags, texture boards and sensory manipulatives. Our animal life was based around animal songs to enhance characteristics and habitats. We were also able to experience many nature walks. We explored snow through outdoor play, songs and books. Our Toddlers are becoming little independent people by learning care of self and environment. Our recent focus has been on animals, seasons and healthy bodies. The world around us has been very valuable in our growth and knowledge of our own bodies and the animals that we see. The Ojibway Park exposed us to many animals that our children have never seen. WOW… have they ever blossomed over the past few months! Throughout our school year so far, we have ventured topics such as Food and Nutrition, Harvest, Our Universe and Solar System, and Traditions around the world. The children have experienced many celebrations and events to enhance such topics… for example international day of peace, our fall festival and the Ojibway Park Field Trip. We have studied artists Vincent Van Gogh and Pablo Picasso as well as composers Frederic Chopin and Ludwig Van Beethoven. 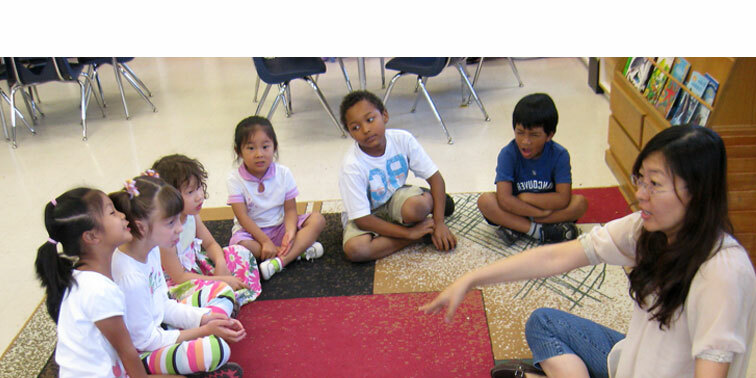 In Montessori, the community grouping helps children to learn together and to be role models for each other. Our French and Spanish topics have included fruits and vegetables, parts of the human body and family. We had magnificent mandarin lessons with Miss Zoe learning parts of the body, names of family members, numbers one to twenty, seasons and colours. Cooking class has been very successful from the contribution to the fall festival to the weekly Thursday lunches. scholastic – it is important to order books for your children as it proven to increase their reading ability, as they also take pride in their possession. Every dollar spent contributes to our school library and the resources for a well rounded education! Please remember to check the board next to the office for updates and information!!! The students in the Elementary class have completed many independent and group studies thus far. In language we have focused on spelling lists, how to use resources for writing, journaling and higher writing styles. We have used language power workbooks for grammar and the Magic Treehouse and Canadian Heroes for reading comprehension. One student has used the Bridge to Terabithia as a novel study. In math we continue to use Montessori material to enhance the Ontario Curriculum with different strands and skills being developed. Our social studies and science have included needs of living things, cellular structure, medieval times, building of a nation, The Great Migration and confederation. The students are captivated by geographic studies using the puzzle maps as they are eager to master the maps!